A quick, interesting and tasty snack. 1. Mix maple syrup, honey, olive oil, pepper powder and salt. 2. 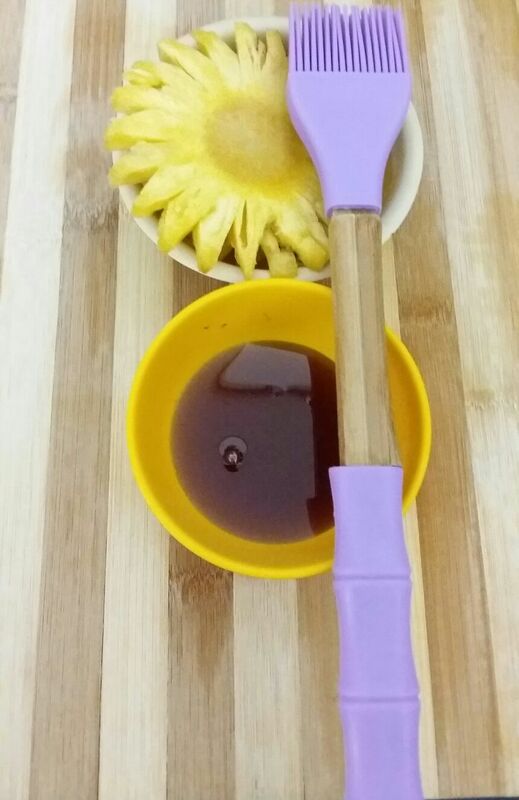 With the help of a brush, spread the mixture on both the sides of pineapple slices. 3. Heat a grill pan and brush it with little olive oil, now place the pineapple slices on the pan and cook each side for 5 to 6 minutes on medium heat. Dish out and serve hot. Note: In case maple syrup is not available, just using honey is also fine. Good to know that you and your family enjoyed grilled pine apple,thanks! Try other recipes too.